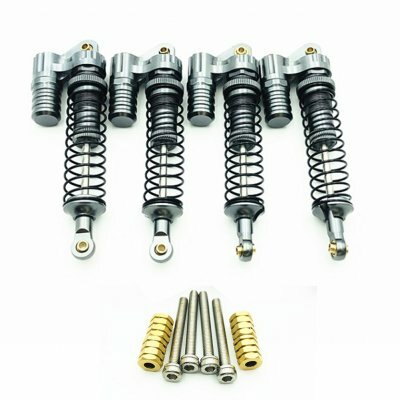 Successfully Added 4PCS 10.5cm Metal Hydraumatic Shock Absorber to your Shopping Cart. Eco-friendly metal, wear and corrosion resistant. Suitable for 1:10 Crawler-type RC Axial SCX10 RC4WD D90 Tamiya CC01. Suitable for: 1:10 Crawler-type RC Axial SCX10 RC4WD D90 Tamiya CC01.